Have you completed a PDC but feel there is more you’d like to learn? Are you interested in design principles and ethics but are not quite sure how to integrate the processes into your thinking, designing and decision making? 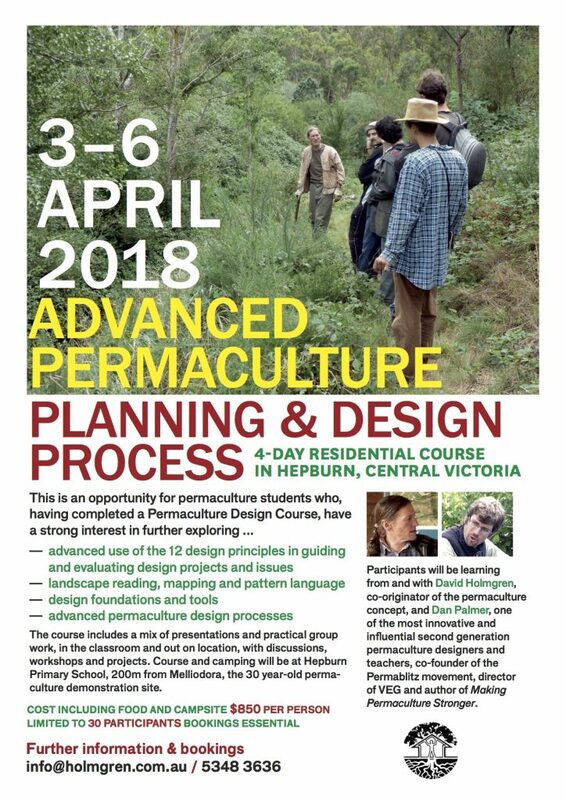 After the inaugural Advanced Permaculture Planning and Design Process course, Dan wrote a comprehensive overview of the 4-day residential, which is highly recommended reading. Participants are encouraged to arrive on the night of April 2 and camp over, ready to begin the course at 9am on the 3rd. Dinner will be provided on the 2nd, and brekky on the 3rd, as well as all subsequent meals for the duration of the course. The course is limited to 30 participants and bookings are essential. Once you have booked you will be sent more details. More information + bookings here. David Holmgren and Jonathon Porritt addressed the opening session of the International Permaculture Conference [IPCUK] in London on Tues [8 September 2015]. The following notes were taken by Ian Lillington, who coincidentally worked under Porritt at Friends of the Earth in London in 1990. Co-originator Holmgren talked about the ‘waves’ of permaculture’s growth – he reckons we are in the middle of the fourth wave; and former Friends of the Earth chief, Porritt, acknowledged that permaculture’s principles were an influence on both his thinking and his spirit, as he advocates for a mindset that is not dominated by greed and over-consumption. Permaculturists from at least 78 nations were in the unique structure called ‘The Light’ in central London for two days, representing the 135+ countries globally where permaculture is happening. David’s voice and ‘big-picture thinking’ is familiar to most of us, but it was news to hear Porritt focus on food security and setting limits to population [as well as consumption]. Porritt said that conventional statements about ‘doubling the food we produce by x’ makes no sense unless we address food waste. Around 30-45% of food at the farm does not turn up on the plate, and more is wasted once it is scraped off the plate uneaten. And also to address meat consumption – much demand for new agricultural land is geared to using the land as feed for meat production [eg soy in Latin America]. So, as with energy problems, the answer is to reduce the need for more, not to obsessively produce more. There needs to be sensible conversation about soil, nutrients, water, etc as part of the debate about food security and also waste and the meat obsession must not be ignored. Porritt has been central to the Organic Food movement and has been part of GM debates. Looking back, he realizes that debate hardly touched on the relationship between humans and the earth – especially the reciprocities involved. In contrast, the heartland of p’c is different. 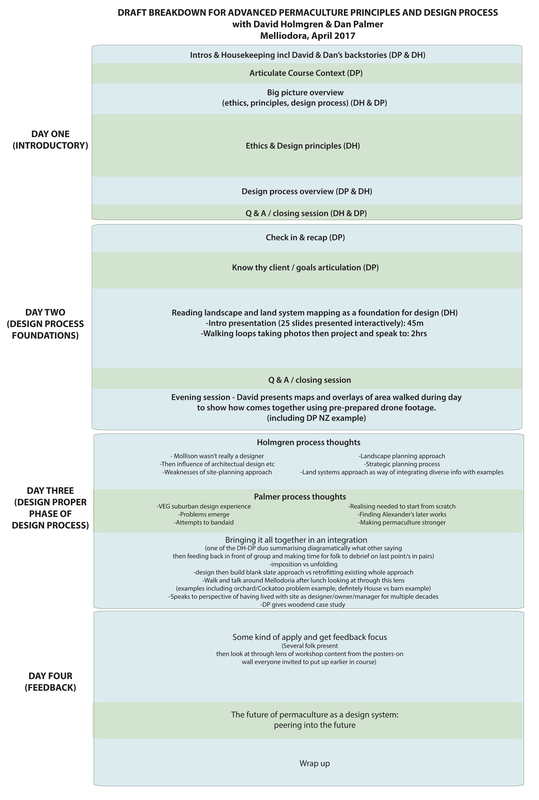 It’s a set of design principles underpinnning the way humans produce our food. P’c and the like allow us to be part of the intellectual and spiritual process that is going on – Porritt places a strong emphasis on the spiritual through which he has worked and learned to stop his deep apocalyptic fear, and come back to the story of hope. It is not just doable, it is being done; now – and can and will be done more. But future food will come with new challenges. We think all good food should come from a beautiful relationship between land and food, but to reduce pressure on limited land, without massive animal cruelty, we need to use science. There are exploding areas of work, eg – will there be artificial meat? Probably it will be a major part of protein intake of the future world. And protein from algae – also big growth area, eg Brazil, GM modified algae to produce alternative to palm oil. We will get new dilemmas coming at us all the time. In summary, Porritt talks of travelling the world and advocating for sane sustainability. He has seen two types of excellence – 1 – he calls Enclaves – refuges – places where people withdrawal from the horror of the modern age. Sometimes we need to retreat to an enclave and p’c has played an important part in creating some of these. And 2 – Different but connected – Outposts – people on the front line – engaged in places of difficulty and danger – grappling with daily issues of food insecurity. Outposts are made of people joining with local communities and addressing social justice as well as food production. Porritt says it’s an exciting world – he sees a scene of creative chaos – and we have a big role to play through the p’c movement. In the mix of action and dreaming, there is a balance and the permaculture movement provides some of that opportunity to find the right place to be to act for a better world. This is a video record of David Holmgren presentation on bushfire resilient landscapes buildings homes and communities in a forum held in April 2015 in Hewett. The forum was initiated by Transition Gawler (TG) to support and educate residents on fire prevention and mitigation through a new set of design principles. The other three parts of the forum are available below. On the subject, you may be interested in the following case studies David Holmgren has done. or come and see for yourself an example of bushfire resilient landscape by taking part in the whole day tour at Melliodora. 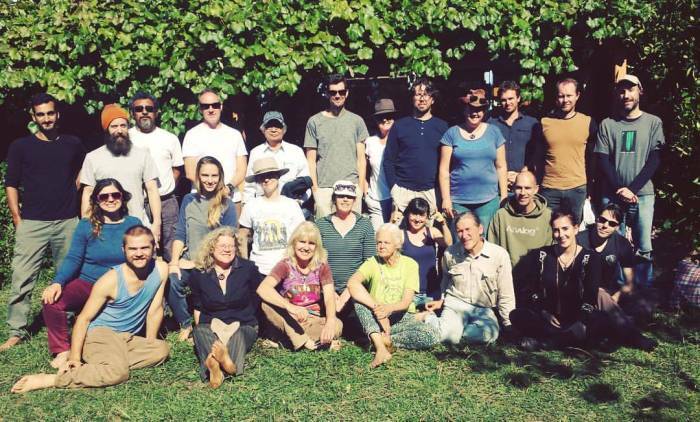 Earlier this year, permaculture activists from Australia and New Zealand converged to a tiny town in Tasmania for the 12th get together. 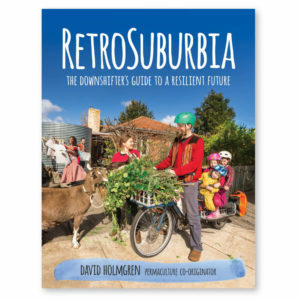 There, as one of the key note speakers, and a co-founder of the concept nearly four decades ago in Tasmania, David Holmgren delivered this speech. We posted the text of the speech earlier and now you can watch him on the video (thanks to Adam Hogg for creating and Eric Smith for posting it). 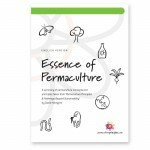 There are other videos from the APC12 on the official website including Stuart Hill (emeritus professor and foundation chair of Social Ecology at University of Western Sydney) discussing permaculture’s achievements and challenges.